$1.29 lb. Whole Boneless Kretschmar Ham at Schnucks with an Additional $25 Purchase! 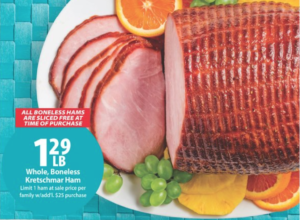 This week at Schnucks, you can get the whole boneless Kretschmar ham for just $1.29 per lb. 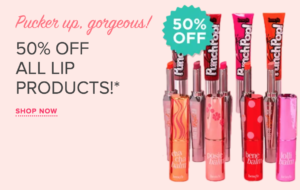 when you spend an additional $25.00! $1.77 Golden Pineapples at Fresh Thyme Farmers Market! 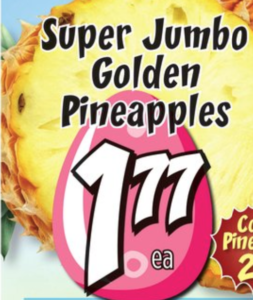 This week at Fresh Thyme Farmers Market, you can get golden pineapples for just $1.77 each! $7.99 Tulip Bunch at Target! 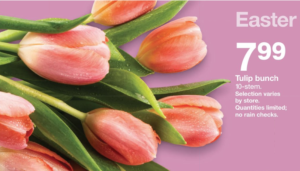 This week at Target, you can get a 10-stem Tulip bunch for just $7.99! 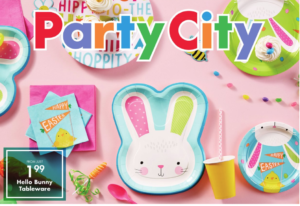 Selection varies by store. 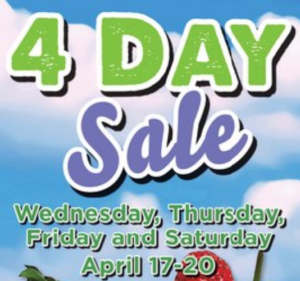 4 Day Sale at Fresh Thyme Farmers Market! Right now, Fresh Thyme Farmers Market is having a 4 day sale! 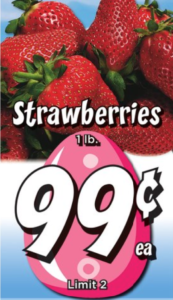 $0.99 per lb. Red Grapes at Fresh Thyme Farmers Market – Last Day! 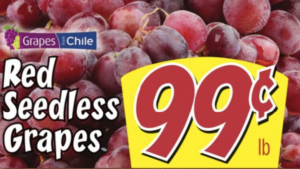 This week at Fresh Thyme Farmers Market, red seedless grapes are just $0.99 per lb! $0.95 per lb. 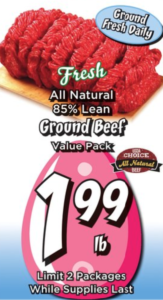 Appleton Farms Spiral-Sliced Half Ham at Aldi – Last Day! 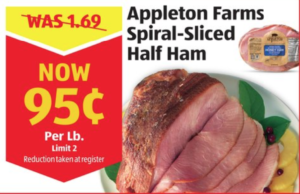 This week at Aldi, you can get the Appleton Farms Spiral-Sliced Half Ham for just $0.95 per lb!